Here is another article, posted this evening on LJ’s Chat Skype Chat Room! Thanks to BigO for the find! 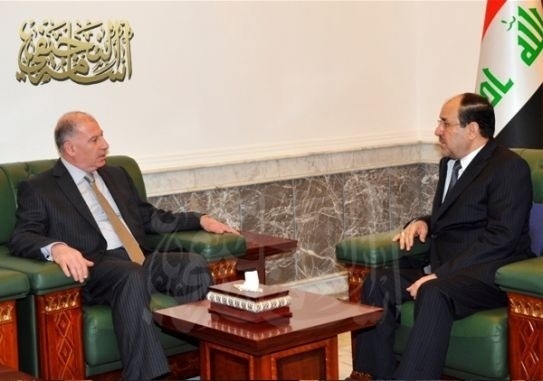 A continuation of his order to overcome the obstacles on the road to resolving the crisis between Baghdad and the Kurdistan region, met with House Speaker Professor Osama Abdul Aziz Najafi evening, Thursday, with Prime Minister Nuri al-Maliki in office last for the second time in two days, and discussed ways to tackle the crisis and end the row. This president will continue Najafi his efforts to end the tension and defuse the crisis. This entry was posted in Erbil, HOT TOPICS, Iraqi National Conference, LJ's Next Step, NEWS and tagged Arbil, Baghdad, Barzani, erbil, Najafi by MrIQD.com. Bookmark the permalink.